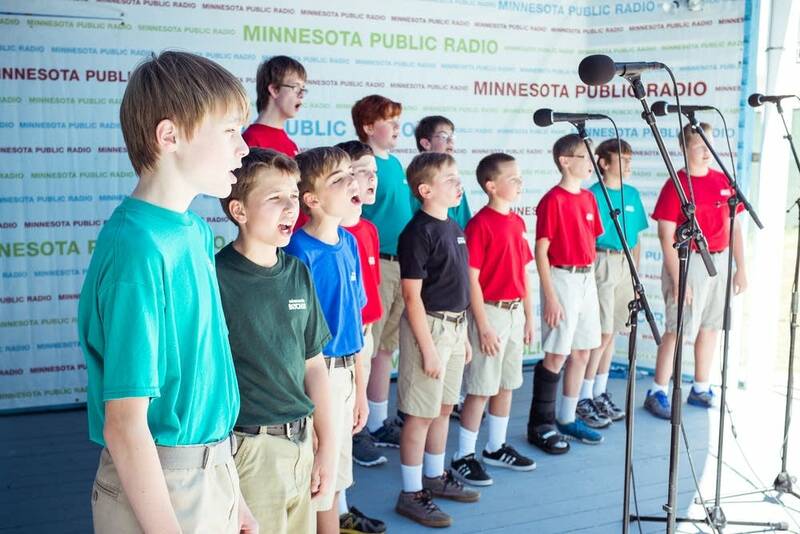 A few weeks ago I had the opportunity to conduct and workshop five of Minnesota's boychoirs. After the first few workshops I began to notice a pattern. There was a clear pattern of excellence and camaraderie within each group I worked with. They sang, they danced, they played dodgeball; the entire day was filled with music and joy. Midway through the event, I began wishing I would have known about the boychoir experience during my childhood. The electric energy in that room was exhilarating to be a part of and I left the experience envious of all of the boys that get to participate in a boychoir. After the festival ended, I talked with the festival coordinator, André Heywood, about how and why boys get involved in the boychoir tradition. "The first entry point for most boys is an external force; whether it is a parent encouraging them to sing in choir or a teacher that says that they are very good, it is some kind of external motivation. Once they are in choir, there are other things that keep them there. ", said Heywood, who is also the conductor of the St. John's Boy's Choir. If you want to learn more about the boychoir experience and hear the all of the boychoirs sing together in this week's episode of Sing to Inspire, click the first audio player above. To listen to an individual performance of those choirs who participated, click the second audio player above. Special thanks to Gerry Stinson Audio for providing the recordings in this week's episode.